Crave - Marvel's Agents of S.H.I.E.L.D. 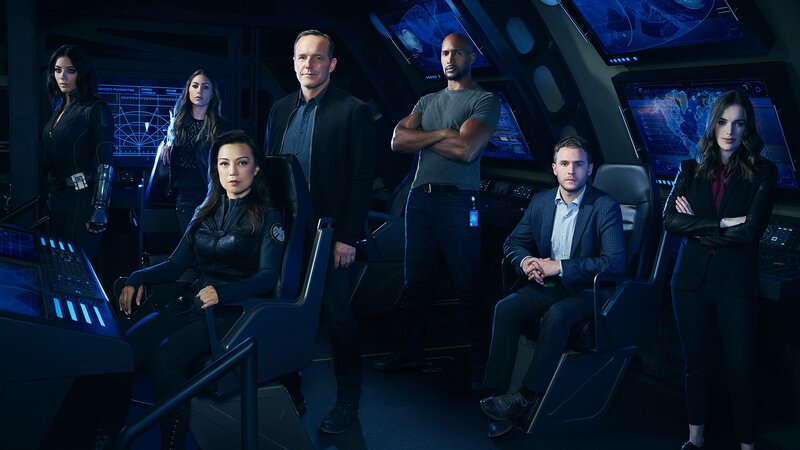 Agent Phil Coulson puts together a small team of S.H.I.E.L.D. agents to handle strange new cases. Each case tests the team in cooperation and ingenuity as they discover newly emerging superhuman individuals in the world. As the world comes to grips with the existence of superheroes, Agent Phil Coulson assembles a group of highly skilled agents. Coulson and his S.H.I.E.L.D. agents travel to Peru to investigate an object of unknown origin, code-named 0-8-4. It's a race against the clock when Skye leads the team to find Dr. Franklin Hall, who has been abducted by unknown kidnappers. Coulson and the team try to track down a mysterious woman who has single-handedly committed numerous high-stakes heists. The team head to Asia to rescue a young man. Meanwhile, Skye has a secret that jeopardizes her relationship with the team. When floating bodies turn up, Coulson and the Agents must hunt down an elusive killer. No one is safe – not even the team. In the aftermath of the events chronicled in the film "Thor: The Dark World", Coulson and his team pick up the pieces. With dangerous secrets being kept, Coulson works the system to save Ward and Fitz when they are sent on a classified mission. Coulson takes the war back to Centipede, and this time he brings in Mike Peterson for some super-soldier support. Coulson uncovers vital information about the mystery of his death, but, with Centipede out for blood, the knowledge may come at a cost. May and Coulson uncover shocking information about Skye, and a team encounters a crisis at the S.H.I.E.L.D. academy. To save Skye, Agent Coulson solicits help from Agent John Garrett and discovers new information about himself and S.H.I.E.L.D. When Coulson and his team are attacked by Lorelei, a deadly seductress who escaped from Asgard, Thor's Lady Sif steps in to help. Agents Garrett and Triplett are back to help Coulson's team track down S.H.I.E.L.D. 's nefarious enemy - the Clairvoyant. Col. Glenn Talbot pursues Coulson's team as they begin to uncover S.H.I.E.L.D. 's darkest secrets. With their world turned upside down, Coulson races to save the life of his one true love as the mystery of "The Cellist," is revealed. In the season finale, dark secrets are revealed as Coulson and his team put everything on the line to stop Garrett and the forces of HYDRA.